Undersized players are often valuable to your team for the numerous skills they can bring to the court, but you need a strategy to compensate for what they won't be able to provide as blockers. Here, former Ohio State coach Jim Stone covers a number of key concepts that will help you determine a small-blocker strategy that is appropriate for the situation. One point Jim emphasizes is that "a small blocker doesn't necessarily mean a bad blocker." 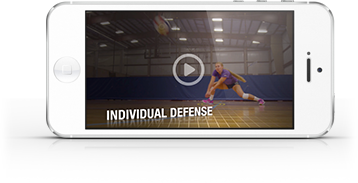 Watch the video to see his recommendations on how defenders should be positioned behind smaller blockers in left front, middle front or right front.